The main purpose of this report is to get an overall process about the Banking Operation of Uttara Bank Limited and evaluate the contribution of Scheme deposits in total collection of remittance. Other discussion are to identify how to deals third bank payment. Here also discuss on the overall performance of the bank’s UBL to other private banks. Finally justify the extent of the use of Finance in UBL system. The general objective of the report is…. To know about the management system of Uttara Bank Limited as a largest corporate bank in the country, its formation, and its functional and financial aspects. To know the important criteria required for the attainment of UBL. To make a comparison on GB department in Uttara Bank and other private sector Banks. To assess the overall performance of the bank’s UBL to other private banks. To justify the extent of the use of Finance in UBL system. 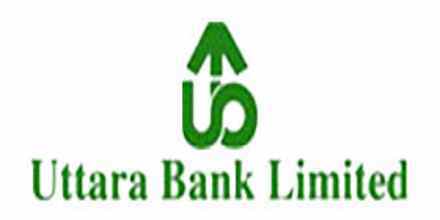 Uttara Bank Limited UBL is a private commercial Bank in Bangladesh. Uttara Bank-one of the largest and oldest private-sector commercial bank in Bangladesh, with years of experience. Adaptation of modern technology both in terms of equipment and banking practice ensures efficient service to clients. 201 branches at home and other more affiliates worldwide create efficient networking. Uttara Bank is a bank that serves both clients and country. UBL, started the project of seven days assured payment scheme to serve quickly the foreign remittance sender On the other hand, it has achieved the membership of Society for Worldwide international Financial ‘Telecommunication (SWIFT) to accurate the international business and banking activities. During 28th January 1965, The Eastern Banking Corporation inaugurated its operation in East Pakistan as commercial bank. After 6 months of its inauguration it has got the status of Schedule Bank. It was the first Bengali Owned Commercial Bank. After liberation the Eastern Banking Corporation was changed by name as Uttara Bank Ltd. During 1972 it was taken under national ownership. At that time it’s paid up capital was 69.13 crore and profit figure was 42lac. During September 1983 it was privatized under privatization act. At that time this deposit was 231.03 crore and profit figure was 5.06 up to 2003 its number of branches stands to 198 and it’s paid up capital was 100 million. 95% of its share holder is public and rest of share holds by Government. There are some different year’s deposits, loan, & advances and net profit has been given below. The all branches are computerized which has been possible by local (within the organization) computerized analyst. The place, where electricity is not available they are maintaining their activities by generator. And that’s why has got access to enter in the instant Global Economy. For reaching immigrant/non-imrnigranls, sending money to the recipients as welt as to invest this money in lucrative sector UBL has established. The basic driver of CSR consists of values that have taken place within businesses where they not only feel responsible for creation of wealth but also for social and environmental well being. Uttara Bank Ltd. considers socially responsible activities as an important part of its culture, identity and business practice. We have a deep commitment, loyalty and a high sense of responsibility to our nation and its people. Uttara Bank Ltd. conforms to all of the astringent regulations issued by the Government and the Bangladesh Bank. As per of our corporate social responsibility, Bank contributes greatly to the nourishment of the country’s all types of calamities, arts, culture and sports. Its aim to ensure their competitive advantages by upgrading banking technology and information system. UBL intends to play more important role in the economic development of Bangladesh and its financial relations with the west of the world by interlinking both modernistic and international operations. Its maintain high standard of corporate and business ethics. UBL extend highest quality of services, which attracts the customers to choose them first. General Banking is the starting point of all banking operation. It is a combination of activities of different sections. Introduction of Account to be obtained from a respectable client acceptable to bank. The introduction shall be obtained in writing in the respective column of Account opening form. For opening savings bank account of individual either singly or jointly, passports and identity cards may be accepted for introduction, but subsequently proper introduction may be obtained. Introduction of Current Account by members of the staff may be allowed but shall be discouraged as far as possible. Current Account shall preferably be introduced by another Current Account holder acceptable to bank. Along side traditional banking product and services, the bank has some tailor made products in liability and asset sides. Of those mentionable are Monthly Savings Scheme and Double Benefit scheme etc. for deposit mobilization in one hand and consumer credit scheme, lease finance, personal loan, Uttara house repairing and renovation Scheme and SME financing in other hand. Besides, the Bank has also some electro-products based on information technology of which Q-cash UBL ATM Debit cards are to be mentioned for providing 24 hours services to customers. Uttara Bank is a major player in Bangladesh wholesale banking industry to offer the full scope of innovative, customized solutions and services. We offer service at the highest level. Our focus is not on short-term profit, but on building long-term relationships and standing by our clients whenever they need us. Uttara Bank issues a full range of Performance Guarantees, Advance Payment Guarantees, and Financial Guarantees and Bid bonds for supporting the underlying business of our customers. Uttara Bank’s trade finance is tailored to meet the individual needs of your business. We can help even if your company has limited unstructured credit lines, due to reasons such as limited financial resources or sudden spike requirements. As the responsive player in market, you may anytime need fund to utilize for a very short time due to either emergency or short term projects. In such case, Uttara Bank is there to facilitate you. Uttara Bank can also equip you the required fund for a longer period. If you worry about fund requirement for a bit longer, ‘Uttara Bank Term Loan’ will make you feel confident that, you got a friend for this. Mitigate sponsor exposure to project risk. Enhance use of leverage to increase project returns by lowering the weighted average cost of capital. We can customize a Term Loan or Lease to finance the fixed assets that your business needs (such as land, new premises, equipment and machinery). It may be a Greenfield project or an expansion of an existing plant, which may be financed at competitive floating rate of interest. Bai Muajjal: For financing procurement of raw material where goods are kept under customer’s custody. Bai Murabaha: For financing procurement of raw material where goods are kept under bank’s custody. Bai Salam: For financing pre-shipment expenses by purchasing exportable goods in advance. A leading provider of cost-efficient, lease-based and asset-based financing solutions to businesses in Bangladesh, we can create and tailor the right structured solutions for your business needs in order to enhance shareholders’ wealth and your market competitiveness. Structured financing solutions: Principal to principal structured capital market transactions optimizes investment returns and reduces effective funding costs. Syndications: This normally involves getting a group of banks together (forming a syndicate) to provide the loan amount required by the customer under a set of common terms and conditions laid down in a loan agreement. Cash Management: In today’s competitive financial environment, effective cash management has become a critical success factor. This is the right time to have integrated cash management solution. Payment Services: We can help you save time and money by reducing processing costs while providing a value-added service to your suppliers. Collection Services: We have a comprehensive branch network and the local knowledge to help you with lower costs and greater efficiency. The Uttara Bank Collections Solution leverages the Bank’s extensive regional knowledge and widespread branch network across our key markets to specially tailor solutions for your regional and local collection needs. Liquidity Management: Let us help you to get the most out of your company’s cash resources with physical sweeping, notional pooling, interest reallocation and investment. We are a market leader across our footprint in innovative, landmark deals, multi-jurisdiction solutions and sophisticated product structuring for corporate and institutional clients. We hold leading positions in fixed income local currencies and loan syndications. Our in-depth understanding of the local regulatory framework in the domestic debt and loan markets, product expertise and wide geographic reach, help you achieve your financing and investment objectives. Our proven knowledge, product capabilities and global reach make us well-suited to matching investors’ needs with the funding requirements of international and domestic issuers. The account holder may enquire about his/her balance in the account. The client may be advised to fill and sign the Balance Requisition Slip (BRS) or to produce the Letter of Authority (LOA) duly signed by the account holder. The signature of the account holder shall be verified on the BRS or LOA before disclosing the balance. If a slip is required to be sent by mail or hand, it shall be sent in a closed envelope addressed to the account holder. In the event of a balance certificate required by an account holder, he/she may be provided with such certificate as per computer print report recorded by the branch against his/her written request. Certificate may be delivered as per instruction of the account holder. In a computerized system of accounts, the computer program will provide print report of balance confirmation of Accounts along with a sub-joined part. It will contain the full address of the account holder. The balance confirmation shall be dispatched to account holder in a window envelope. Follow-up should be made to get back the sub-joined part duly signed by the account holder. On receipt of the confirmation from the party regarding his/her balance duly signed, it shall be preserved in a file after verification of signature. Balance confirmation for debit balances in case of over-draft, cash Credit and/or loan accounts shall be dealt with separately. The sub-joined part to be received from clients duly signed by them and preserved in their document file after verification of signature. The bank’s deposit stood Tk 50,817.0 million as on December, 2008 compared to Tk 43,586.4 million in 2007, thus recording 16.59 percent growth. Competitive interest rates, attractive deposit products, deposit mobilization efforts of the Bank and confidence reposed by the customers in the Bank contributed to the notable growth in deposit. The Bank evolved a number of attractive Deposit Schemes to cater to the requirement of small and medium savers. These helped to improved not only the quantum of deposits but also to bring about qualitative changes in deposit structure. Local Office/Main Branch shall receive cheques etc drawn on Uttara Bank Limited branches from the Clearing House. On receipt of the cheque etc. they shall segregate the same branch-wise and issue IBDA on branches against total amount of cheque etc. and shall arrange delivery of the UBL together with the cheques etc. within Clearing House time schedule. Branches shall send the cheques dishonored by them supported by UBL issued on Local Office/Main Branch, within Clearing House time schedule for enabling Local Office/ Main Branch to return these instruments in the 2nd Clearing House. Cash receiving officer shall check the deposit slip/ credit voucher/ application form as to its title of account, number and amount in words and figures. The cash currency notes shall be counted physically /by cash counting machine as per denominations of the currency notes on the back of the voucher /deposit slip. The officer will enter the particulars in the cash Receiving Register and sign on the related deposit slip/voucher and affix “Cash Received” Stamp with date. The instrument is checked for any apparent discrepancy and evidence of posting and cancellation. Specimen Signature of cancellation officer shall be available with cash paying officer for convenience of payment. Foreign Remittance Foreign Currency Account. Import: Purchasing goods and services from outside Bangladesh and purchase of goods locally under local Back to Back L/C against export is also treated as import. Export: Selling of goods and services outside home country in known as EXPORT, but selling of goods within home country under B.B L/C (against Exp L/C) is also treated as Export. Remittance: Remittance represents transfer of fund from one place to another through official channel. Credit Department is one of the important departments of Uttara Bank Ltd. One of the primary functions of commercial banks is to create the claim against individual borrowers or real sector of the economy through purchasing the primary securities for the purpose of sanctioning credit. Banks grant loan in the form of different securities. By the primary we mean the financial claim of holder against the real sector of the economy. In banking the financial claim of a bank is against issuer i.e. investors, borrowers and deficit units. Bank credit is very important for bringing economic development in a country. Without adequate finance there can be no growth or maintenance of stable economy. Bank lending is important for the economy, for it makes possible the financing of agriculture, commercial and industrial activities of a nation. At the same time, a bank will, therefore, distribute its funds among various sectors in a manner as to derive sufficient incomes. Uttara Bank Limited follows the following principles of sound lending. UBL firstly considers the safety of the bank’s money. In case of lending, the bank invests depositor’s money, So, depositors’ interest as well as bank’s interest must be protected by making investment is such a way that can be safely returned both profit/interest and principal. Primary Security such as FDR, DPS, DDS, SDS, Merchandise Goods, etc. Secondary or Collateral Security such as Land & Building. UBL provides loans and advances to selected borrowers taking into consideration the liquidity position of the borrower i.e. nature of business, security etc and also the liquidity position of the bank. This bank maintains the liquidity requirements of Bangladesh Bank and its customers. The main objective of UBL as a private commercial bank is to earn profit and it is a business organization. So the bank gives loans and advances in profitable sectors not in charitable organizations. UBL raises funds from the public at lower costs and invests the funds to the borrowers at a higher interest rate. The difference is the spread/margin/profit of the bank. UBL considers profitability before making investment in a project. Another important point of sound lending is to consider great national interest. This bank does not finance any project, which is engaged in anti-national activity. Superior – Low Risk 1 Facilities are fully secured by cash deposits, government bonds or a counter guarantee from a top tier international bank. All security documentation should be in place. Good – Satisfactory Risk 2 The repayment capacity of the borrower is strong. The borrower should have excellent liquidity and low leverage. The company should demonstrate consistently strong earnings and cash flow and have an unblemished track record. All security documentation should be in place. Aggregate Score of 95 or greater based on the Risk Grade Scorecard. Acceptable – Fair Risk 3 Adequate financial condition though may not be able to sustain any major or continued setbacks. These borrowers are not as strong as Grade 2 borrowers, but should still demonstrate consistent earnings, cash flow and have a good track record. A borrower should not be graded better than 3 if realistic audited financial statements are not received. These assets would normally be secured by acceptable collateral (1st charge over stocks / debtors / equipment / property). Borrowers should have adequate liquidity, cash flow and earnings. An Aggregate Score of 75-94 based on the Risk Grade Scorecard. Marginal – Watch list 4 Grade 4 assets warrant greater attention due to conditions affecting the borrower, the industry or the economic environment. These borrowers have an above average risk due to strained liquidity, higher than normal leverage, thin cash flow and/or inconsistent earnings. Facilities should be downgraded to 4 if the borrower incurs a loss, loan payments routinely fall past due, account conduct is poor, or other untoward factors are present. An Aggregate Score of 65-74 based on the Risk Grade Scorecard. Special Mention 5 Grade 5 assets have potential weaknesses that deserve management’s close attention. If left uncorrected, these weaknesses may result in a deterioration of the repayment prospects of the borrower. Facilities should be downgraded to 5 if sustained deterioration in financial condition is noted (consecutive losses, negative net worth, excessive leverage), if loan payments remain past due for 30-60 days, or if a significant petition or claim is lodged against the borrower. Full repayment of facilities is still expected and interest can still be taken into profits. An Aggregate Score of 55-64 based on the Risk Grade Scorecard. Substandard 6 Financial condition is weak and capacity or inclination to repay is in doubt. These weaknesses jeopardize the full settlement of loans. Loans should be downgraded to 6 if loan payments remain past due for 60-90 days, if the customer intends to create a lender group for debt restructuring purposes, the operation has ceased trading or any indication suggesting the winding up or closure of the borrower is discovered. Not yet considered non-performing as the correction of the deficiencies may result in an improved condition, and interest can still be taken into profits. An Aggregate Score of 45-54 based on the Risk Grade Scorecard. At least top twenty five clients/obligors of the Bank may preferably be rated by an outside credit rating agency. All credit risks must be authorized by executives within the authority limit delegated to them by the MD/CEO. The “pooling” or combining of authority limits should not be permitted. Credit approval should be centralized within the CRM function. Regional credit centers may be established, however, all large loans must be approved by the Head of Credit and Risk Management or Managing Director/CEO/Board or delegated Head Office credit executive. The aggregate exposure to any borrower or borrowing group must be used to determine the approval authority required. MD/Head of Credit Risk Management must approve and monitor any cross-border exposure risk. Any breaches of lending authority should be reported to MD/CEO, Head of Internal Control, and Head of CRM. The purpose of the segregation is to improve the knowledge levels and expertise in each department, to impose controls over the disbursement of authorised loan facilities and obtain an objective and independent judgment of credit proposals. Banks should have a segregated internal audit/control department charged with conducting audits of all departments. Audits should be carried out annually, and should ensure compliance with regulatory guidelines, internal procedures, and Lending Guidelines and Bangladesh Bank requirements. Capital Structure Key Financial Indicators Client’s Risk Grade Single borrower/group limit of the Bank. A thorough credit and risk assessment should be conducted prior to granting of loans, and at least annually thereafter for all facilities. Thus appraising a credit is the most challenging job for credit personnel. His / her intension is to define and minimize potential risks associated with a credit so as to secure return of money together with the appropriate charges for use of the money. Although nobody can cent percent guarantee the future of a credit as because business may be subject to the effects beyond the control of either of banker or of borrower, experience shows that in properly apprised credits banker is likely to lose only a tiny proportion of what he lends. The credit apprising personnel should be through about the prevailing credit policy of UBL in force. The officials should go by the sprit of the credit policy set by the bank through ‘Credit Risk Management Policy’, Head Office letters & circulars as well as through the deliberations of top management of the bank from time to time. Branches shall exercise vigilance to avoid concentration of portfolio in a particular sector of the economy or nature of business viz. import, export, trading etc. However, some branches are located in areas that are earmarked for a particular activity and in such an area optimal diversification may not be possible. If so care shall be taken to diversify within the particular line of business in respect of nature of operation such as producer, importer, wholesaler, retailer etc. Branches shall also be careful to avoid excessive concentration of advances in the hands of few clients. Credit personnel should have a through knowledge about the past and present of the borrower. If the borrower is a non-human legal entity, the familiarity should be with the past and present of the controlling persons. Usually there are one or two key persons in an organization irrespective of their position as Chief Executive Officer of the company and proper care shall be exercised in gathering and dissemination of information about such persons. A basic consideration in extending credit is the integrity of the borrower. Integrity of the borrower can be termed as necessary factor for the selection of borrower. Unless branch is fully satisfied about the integrity of the client, no credit facility shall be extended. Consideration of human element in borrower’s notion towards repayment of bank debt as well as past track record with the bank may throw an insight into the integrity of the existing client. For a new client utmost care shall be taken to assess integrity of the borrowers usually through face to face interview, track record with other banks /financial institutions, if any, establishing his background and ability. Competence of the borrower has to be properly analyzed. Competence of a client may be reflected in his ability to furnish the required information as well as in attending the requested assistance. Besides the bank must know the borrower / management well enough, that the borrower / management fully understands the problems its business / company faces, and that it is taking the appropriate actions to improve and / or restore its credit worthiness. The bank must know exactly what for the money will be utilized. It shall be ascertained at the outset that the intended purpose is a legal one as per existing government policy. Besides, it shall also be ascertained that the selected sector of activity is expected to be sufficiently remunerative to bear the cost of bank finance as well as provides adequate return to cover borrower’s expected margin as well. Branches should not entertain financing in a purely speculative purpose. Borrower’s track record in respect of credit history shall be obtained. This will again consist of both formal and informal sources. Information through informal sources particularly helps to ascertain the credit utilization pattern of the borrower. Formal sources such as obtaining status report through CIB and bank checking depicts client’s present credit position. In a relevant case, care shall be taken to work out borrower’s present level of aggregate credit arrangement with all the financing institutions. Borrower’s optimum level of credit worthiness is very crucial factor in making a decision on a lending proposal. Especially in case of big borrowers this factor shall be carefully evaluated and all the credit facilities extended to the client by all financing institutions shall be taken into account. The branch shall entertain no proposal exceeding the optimum level of credit worthiness of the borrower at a particular point of time. The extent of facility requested shall be evaluated properly. The purpose, business type as well as optimum level of operation in respect of sectoral absorption capacity, management capability of business etc. are to be considered to determine an optimum extent of the facility. For appraising a credit, borrowers’ stake shall be ascertained in real terms. The nature of stake such as cash, fixed asset (in case of project finance) etc. shall also be taken into consideration. The repayment proposal of the client shall be very clear in respect of source of repayment as well as terms of repayment. Usually it shall be ensured that the proposed lending is a self liquidating one i.e. the finance in its own accord generate sufficient funds to repay the borrowing within a reasonable period of time. If the lending is not self liquidating, alternative sources shall be carefully checked in respect of its suitability. Generally third party source shall be avoided. That branch should be aware in respect of changing economic and political effects on such lending, particularly covering the repayment period. Every credit carries certain risks and as such risk factors in respect of business as well as security shall be properly analyzed and defined. Wherever relevant mathematical tools shall be applied. For corporate clients, analysis of balance sheet is a must. Among the various techniques of analyzing balance sheet credit officials shall at least concentrate on some of the commonly used techniques. Other considerations being good, profitability of the proposal shall be the prime concern of the apprising officer as because the essential purpose of lending is to maximize profit. Working out of spread and net spread are of very importance so as to provide the bank shareholders’ with an adequate return on their capital as well as to grow the business. Spread is the difference between proposed rate of interest on lending and average cost of fund. In case of net spread, with the cost of fund overhead of the branch is added to ascertain branch’s net profit from the deal. Due to wide spread prevalence of default culture and conversely absence of a healthy practice in repayment of debt, we usually insist on tangible collateral securities. The basic consideration in evaluation of security would be : the easiest to realize, the best. As such best security is cash collateral followed by legal charges over property and other tangible assets. However regarding security the points to consider are type, value, ownership and reliability. Although measuring exact extent of credit risk is rarely possible, proper investigation and careful analysis help a credit appraiser in indicating whether the risk is small or great to undertake. In apprising credit the following risk needs to be analyzed. In ascertaining business risk the credit appraiser’s purpose is to identify the nature and extent of risk in respect of likelihood of the business that the same fails to generate sufficient return to repay the loan as per arrangement. If any business carries a substantial risk that it will fail to generate adequate return, the same shall not be entertained for financing. The aim of financing is to go with the business which is a fairly good performer in the particular area of trade / industry. For trading concerns, firm’s / company’s location, past performance, turnover as well as its position in its line of operation / command over the market etc. shall be considered. For concerns producing intermediary / finished products, it’s financial positions for last few years (usually statement of immediate past 3 years) need to be analyzed so as to track it’s performance / trend in performing as well as level of cash flow so as to reflect the repaying capacity of the same. Besides quality of products and their competitive edge over the identical products of other concerns shall have to be taken into consideration. Resourcefulness of a firm / company takes account of liquidity position of its business as well as that of its owner’s or major shareholders’, as the case may be, level of liability in respect of equity, its ability to reduce costs (if need be) as well as effective connections on the part of the owners / management with the relevant segment of the society so as to benefit in case of adverse situation. Highly resourceful business shows its ability to withstand any adverse change in business as well as economic conditions under which it operates and such companies are usually welcome for financing. Through management risk, appraiser’s purpose is to evaluate management’s competence and it’s integrity. It identifies the persons who are actually calling the shots and their integrity as well as ability to guide / make decisions to carry the business. Management integrity and competence is one of the necessary aspects for the success of a business. Again management integrity fills the necessary condition and competence of them acts as sufficient conditions in assessing management risk. As already said, unlike developed economies, for different reasons a greater part of our lending is usually secured by collateral security. However, for primary security to be at bank’s control (such as goods/properties under pledge, LIM etc. ), the security risk is also to be assessed. Assessing risks associated with the reliability of the security is of particular importance to the appraiser so as to, apart from the moral pressure on the borrower; ascertain the degree of cushion to fall back upon in case of need. To evaluate security risk, its location, quality, controllability, ready and future value as well as marketability, process and estimated cost in disposing off the property etc. shall be analyzed. Besides the extent of open portion of finance, if any, in respect of forced sale value of the security shall have to be ascertained. Combining business and security risks, the appraiser gets the nature and extent of risks associated with a particular advance upon which accepting a credit depends. It shall be borne in mind that there is very few credit requests that have no risk. Therefore, appraiser shall have a constructive approach and not be inclined to only undertake perfect risks. But there are some risks that carry a small possibility of loss and there are other risks that are too great to assume. The appraiser should approach each economically sound credit request with a desire to find some safe and proper way to complete the transaction so that the customer may be served and the bank is benefited thereby. However, when the purpose of advance is unsound or when risk appears too great to undertake the proposal shall be declined steadfastly. The credit relationship is founded on trust and UBL must be entirely satisfied with the integrity of all parties in any relationship. Credits shall be evaluated rationally by UBL, with the benefit of a thorough understanding of the borrower’s business affairs and the attendant risks. The Branch Manager must have a detailed knowledge of each specific credit transaction and of any particular risks associated with the transaction as distinct from the activities of the borrower. All credit transactions should be justifiable by analysis of the attendant risks and sources of repayment / redemption without allowing for considerations of security. Credit relationships based on security considerations alone are against this credit policy. With the mass production and distribution conditions business the operations are changing fast. Today the businesses are not necessarily a small entity, owned and operated by one individual. Besides it is becoming increasingly difficult on the part of a banker to have detailed knowledge of the integrity, ability, financial performance etc. of the borrower in appraising a credit. As such appraisers today are more dependent on the analyses of different financial statements of which balance sheet and profit & loss statement are of great importance. However due to various reasons it shall be kept in mind that analyses of financial statements and statement proportions can not be relied upon conclusively for extension of bank credit. Rather those provide a helping hand to arrive at a decision to accept or reject the credit. Financial statements may be audited or un audited. However branches shall always prefer to work on audited statement as there is always a strong possibility that owners may lean toward the optimistic side in preparing its (un audited) financial statement for credit purposes. As such an independent, outside verification of account values is needed to obtain an objective viewpoint. At the outset the appraiser shall form an idea about the reliability of the statement. Only acceptable statements be analyzed and unfortunately there is no infallible means to employ to label a statement as reliable or not. However a workable judgment can be formed by taking into account the factors like the style /integrity of management of the business as well as market standing in respect of accountants, who have audited the statements, relating to their expertise and professional integrity. Window dressing is a very commonly known terminology to all the appraisers. There are many ways in which financial statements may be dressed up to make an improved showing within the bounds of legal technicalities because of the fact that the statements are prepared as at the close of one day and the knowledge that it is to be used as a basis for requesting credit. However the difficulty is that in this case also there is no infallible means to employ, rather the appraiser has to apply his commonsense relying on his experience and judgment in detecting manipulations. He must question suspiciously strong statements and proportions. The source(s) for repayment of loan. Uttara Bank Limited has come forward to extend its services towards Micro and Small & Medium Enterprises sector with a new product group, the all new SME (Small & Medium Enterprise) credit program. Uttara Bank ha a firm commitment to contribute to every segment of Bangladesh. This is one of the steps toward the fulfillment of this commitment. Contribute to the socio-economic development of Bangladesh. To promote the underserved, who can’t go a long way due to lack of financial support. Increase contribution of SME sector to GDP. Number of employees in the firm. These are managed in a personalized way by their owners or partners. SMEs have small share of market and usually do not have access to the stock market for raising capital. SMEs have limited access to formal channels of finance and depend on the savings of owner(s), family and friends. Most SMEs are sole proprietorship and partnership. Most of the SMEs in APEC countries consist of less than 100 employees. However, variations may be found in this figure in case of some countries; for example, China employs less than 500 people in a SME, Korea, Japan employ less than 300, Thailand, Vietnam and Philippine employ less than 200 and Malaysia employs less than 150 people. They are sector and location neutral. They employ a mix of family and hired workers. They usually use no division of labour. They hardly follow any modern and/or accounting system. They usually exhibit low to medium level work skill. They are usually local raw material based. They usually apply personal marketing endeavors. The definition is quite old and hardly fits in today’s context. Nowadays, firms employing more than 50 employees and using machine power are also classified as SMEs. So, we see that the definition of SME is ever changing and based on situational parameters. In the New Industrial Policy of 2003 Enterprises employing less than 50 workers have been identified as SMEs. The following table summarizes the industry classification by the government of Bangladesh. As Uttara Bank Limited has launched products under the umbrella of Loan Portfolio Guarantee of USAID, the products has been designed for Micro Enterprise & Small Business rather than Medium Enterprises. It is mentionable that in future we will go for further new products depending on the response & success of the products launched recently. Dealer Finance – Under this program Uttara Bank Limited facilitates the dealer of the Large Corporate unit by financing them for procurement of goods. Receivable Finance – Under this program the bank facilitates the suppliers of the large corporate against the purchase order/ work order. No-Funded facilitates – The bank now a dys provide and approve various no funded facilities like LC and Bank Guarantee in order to fill the vertical gap in need of the customer. The bank allows to open LC and then retire it by creating LTR which is a funded facility in order to import various machinery for the company itself or raw material or other spares to supply them to the large corporate against supply order. On the other hand it provides Bank guarantee in order to facilitate the customer to submit bid-bon or performance-bond against the work order. Interest Rate : 15.00% p.a. Utilization Fee : 1.50% p.a. Supervision fee : 1% p.a. to be realized upfront. Loan Processing Fee: In addition to the above, a Loan Processing Fee of 0.50% will be charged once on the total amount before disbursement of the loan. iv) Professional Service Rendering Units i.e. medical, engineering, agricultural, architectural etc. services units. In this case, loans may be considered in the name of individuals e. doctors, engineers, agriculturists, architects etc. Capital Machinery/equipment for professional services i.e. Medical, Engineering, Architectural, Agricultural services etc. Semi-urban and rural area are the most focus point for the SME fiancé of Uttara Bank Limited. If the Borrower is an existing customer of the Bank, the Loan must be additional to the credit already being provided by the Bank and must not be a renewal or extension of a pre-existing Loan. The Loan must be made at the market rate of interest and no portion of the Loan may be financed directly or indirectly with subsidized funds. At least 50% of the commercial risk of the Loan must be retained by the Bank at all time and no portion of the Loan may be guaranteed by a Governmental Authority or a donor organization (other than USAID). The Loan must be placed under Guarantee coverage within 10 business days after the Loan has bee disbursement (for term loans) or approved (for lines of credit and all other credit facilities). No Loan once removed from Guarantee coverage may thereafter be placed again under Guarantee coverage without written consent of USAID. Despite higher economic growth during the 1990s, Bangladesh still lagged behind other countries in the region such as India, Pakistan, and Sri Lanka. Various studies carried out under Asian Development Bank (ADB) TA in 20027 and 2003,8 an investment climate assessment by the WB,9 the 2003 National Private Sector Survey of Enterprises in Bangladesh (the 2003 Private Sector Survey),10 and surveys by the Federation of Bangladesh Chambers of Commerce and Industry (FBCCI) have identified major impediments to the country’s competitiveness and economic growth, including inadequacies in infrastructure facilities (particularly power, gas, and port facilities), corruption and “invisible” costs, deficiencies in the legal and regulatory framework, and lack of access to finance by businesses. growth. The 1999 Industrial Policy eliminated restrictions on private sector participation in all sectors except defense, nuclear energy, forest plantation, and mechanized extraction of reserved forests. The foreign direct investment regime is also liberal, although the bulk of direct investment from abroad has been in the gas and power subsectors. With regard to trade reform, the Government has introduced a three-tier tariff structure with the maximum rate having been reduced from 30% to 25%. The average tariff and the number of products subject to quantitative restrictions have also been reduced. Import-licensing requirements have been streamlined. The Government has introduced export promotion measures and at the same time developed a comprehensive plan to cope with the phaseout of the Multi-Fibre Arrangement (MFA) at end- 2004, which will adversely affect textiles and garments, the strategic exports of Bangladesh. Reforms are also under way to create an enabling environment for private sector development and development partners, including ADB, are providing continuing support for infrastructure development. To tackle the issue of corruption and rent-seeking behavior of public officials, the Government set up the Anti-Corruption Commission (ACC) under the ACC Act passed in February 2004. The WB’s Development Support Credit I and II projects as well as the ADB’s ongoing TA provide support for the establishment of the ACC. In addition, the Government is promoting e-governance and introducing the use of computers and web sites in all ministries and sector corporations to enhance transparency and expedite administrative processes. industrial employment, and about 25% of the total labor force in Bangladesh. Preliminary figures based on the 2001–2003 Census of Non-Farm Economic Activities (Urban and Rural) [the Economic Census], which excludes agriculture, fisheries, and forestry, estimate the number of persons employed by SMEs at 1.72 million, which is about 45% of the total number employed in nonfarm small, medium, and large establishments. The 2003 Private Sector Survey estimated that micro, small, and medium enterprises contributed around 20–25% of GDP. Given the critical role of SMEs in economic growth and poverty reduction, it is imperative that the Government develop and implement targeted policy measures to address specific constraints to SMEs to enable them to realize their full potential and contribute more effectively to economic growth and employment generation. In the year 2005 the GDP growth in our country was registered at 6.9 per cent. The largest growth came from industrial sector which is 8.5 per cent. The large-medium and small scale industry grew by 8.7 per cent and 7.9 percent respectively. There are varying estimates of the SME population in line with different definitions of SMEs. Based on the Economic Census, the total number of SMEs13 is estimated at 79,754 establishments, of which 93.6% are small and 6.4% are medium. The 2003 Private Sector Survey estimated about 6 million micro, small, and medium enterprises defined as enterprises with fewer than 100 employees. Attainment of self-employment and satisfaction; stimulates entrepreneurship. Reduces regional imbalances, as all regions are not equally endowed with resources for large industries. Plays effective role in reducing the economic backwardness and help improves infrastructures. Reduces disparities in income and wealth distribution. One advantage of the small firm is its low overhead. But if it invests too much of its capital on fixed assets — land, building, machinery — the small firm loses this advantage. Moreover, the working capital available is lessened impairing your flexibility to overcome a crisis or take advantage of an opportunity. Leasing instead of buying land, building, machinery and equipment. Purchasing second-hand machinery and equipment if operations and the marketability of your product are not seriously affected. Using labor instead of machinery for some operations. Subcontracting part or all of the production requirements so that you will not need additional machinery and equipment. Make, instead of buying, equipment, furniture and fixtures. In your desire to generate more sales, you may be liberal in granting credit. In turn, some of your customers, taking you for granted, delay payment and you find yourself having a hard time paying your own obligations to your employees, suppliers and creditors. It is easier said than done but the solution is proper credit control. You should prefer cash paying customers and be more selective in granting credit. Business is business and you should collect even from friends and relatives. Monitor closely your customers whose accounts are due and promptly follow up these accounts. In granting credit, the rule of thumb is to have additional capital equal to 45 days credit sales if you are giving customers 30 days to pay. Before granting credit, you must have a positive answer to these two questions: Do I have enough capital? Can I collect? Related to the previous two issues is poor cash management. Any accountant will tell you that your business may show profit on paper but may have little cash to sustain its operations. You may have attained your sales targets but if most of the sales are on credit, you do not have additional capital and payments are delayed, then you have a cash crisis. Sales may be picking up but you lack cash to purchase additional inventory. You look for additional credit, but, as many businessmen have found out, when you do not need credit, credit is available; when you desperately need credit, no one is willing to lend to you. The mark of a good manager is his ability to prevent a problem from becoming a crisis and this requires planning and foresight. The technique to use here is cash flow analysis with which you project your cash flow for the coming months — where the cash will come from, where the cash will be used, how much will be the cash balance, how much additional cash will be needed. If you anticipate a need to conserve cash you may decide to keep inventories to a minimum,. seek suppliers who can provide credit, reduce credit sales, seek cash paying customers, get purchases discount or limit investments in fixed assets (see pitfall No. 4). Your cash flow projections will become more accurate as you compare projected and actual cash flow and study the differences. A knowledgeable accountant can prepare a cash flow form suitable to your needs. Your success as a small businessman will ultimately depend on your ability to market your product or service at a profit. Marketing is so basic that it is practically the business itself. Many small business management problems are related to marketing: wrong price, wrong location, poor quality products, inappropriate products, and so forth. Customer orientation. Although you may be managing your own business, you still have a boss, and that is your customer. Your success as a small business manager depends greatly on how well you can satisfy your customers’ needs. In effect, you are not really selling a product or service but satisfaction of a need. Focus your attention on what your customers need, not on what you can make or provide. Integrated activity. Marketing is not an isolated function. Any activity or decision regarding marketing is influenced by or has an effect on other areas and functions within and outside the enterprise. For instance, a plan to develop other products would greatly depend on the firm’s financial resources; or the objective to attain a greater sales volume has to be balanced with the concern to reduce losses from bad debts. If your marketing is customer-oriented and is conducted in an integrated manner, you will have a better chance of attaining in the long run your company’s profit and growth objectives. You are earning a living by managing your own business but resist the temptation to withdraw too much from the business for personal expenses. Exercise fiscal discipline especially in the first years and in difficult times. Few small firms can recover from a major setback. Your firm will have a better chance of weathering a crisis if you conserve your capital “for a rainy day”. Yes, too much success can create trouble for the small firm. The sales of your products have exceeded your expectations and you decide to expand or diversify into other businesses. You later find out that you cannot duplicate your earlier successes. Before deciding whether or not to expand your business, first analyze the reasons why you were successful in the past. You may have succeeded because you or your men had the special knowledge and skills for your particular business. But you may not have the competence to expand into a new business or run a bigger scale operation. Or you may have succeeded not because of your expertise but simply because you were lucky. The timing was right or there was no competition. Simply stated, grow according to your ability, your resources and external conditions affecting your firm. Too much success, instead of generating overconfidence, may encourage complacency. After years of struggle your business becomes established and you may tend to relax. You continue to depend on the same management skills, the same products and processes for future growth and profits. Before long you become uncompetitive and other firms encroach on your market share. If you want to stay in business, you must realize that market conditions change very fast — new firms are coming in and new products, materials, processes and machinery are being developed. From biology, we learn that the organism that can adjust to changes in its environment is the organism that will survive and grow. This also holds true for business organizations. Many firms remain small because their growth depends on what the owner can do himself. At the start when the business is very small, it is appropriate that the owner takes charge of all the operations. The need to delegate occurs when the firm is too large for one man to run but too small to afford a full team of managers. The failure to delegate is apparent when the owner-manager is bogged down in details; when he starts making costly mistakes he normally would not commit if he were not too busy. This inability to delegate is difficult to overcome because of the nature of the entrepreneur himself; the business is his “baby”; he would not like to share control over it with anybody else. But if the entrepreneur wants his business to survive, he simply must change his management s style when the situation requires it. Why should you delegate? Delegating multiplies your power — you can do more things. It is a form of insurance — business can run smoothly even when you have to be absent. Some employees become more motivated when they are given more responsibility. Recruit one who has the qualifications and the potential to be your top assistant. You may need one who is strong where you are weak. Since hiring a top assistant is a key decision, consulting other people can help you make a good choice. Define clearly what your top assistant can do, share relevant information and skills, and get the other employees’ cooperation. Give a trial period during which you delegate responsibility gradually and the top assistant can prove his ability to help you and the firm. Reward your top assistant adequately, perhaps, even to the extent of sharing the profits or the business with him. You can best avoid the pitfalls described above if you are both an entrepreneur and a manager. That is, if you know not only how to do things but also know how to get things done through other people; if you can reduce risks as well as take risks. There are indeed many pitfalls besetting the entrepreneur’s way to profits, growth and self-fulfillment. But these pitfalls are in a sense an advantage to the true entrepreneur because these pitfalls will select and limit the number of entries into small-scale entrepreneurship. Bangladesh achieved a steady 5% growth rate of real gross domestic product (GDP) during the 1990s, as compared with 4% in the 1980s. In terms of US dollars, the value of GDP in current prices increased by 6.9 percent to US$60407 million in FY05 from US$56493 million in the previous year. The growth of per capita real GDP accelerated from 1.7% per annum in the 1980s to 3.1% in the 1990s. Per capita GDP stood at US$445 in FY05 against US$418 in the previous year. The growth in the 1990s was attributable to the reforms to move Bangladesh toward an open economy, such as making the currency convertible on the current account, reducing import duties, removing controls on the movements of foreign private capital, and introducing value-added tax. The Bangladesh economy became more closely integrated with the global economy, with its trade doubling over the 1990s to reach 31% of GDP by 2001. The industry and services sectors each contributed about 41%, and agriculture about 18%, to incremental GDP growth in the 1990s compared with the 1980s. Unlike the 1980s, when the rapid shift of labor into the rural nonfarm sector was largely in the form of self-employment, the 1990s witnessed the absorption of wage labor in greater numbers by relatively larger-scale enterprises. These enterprises were at the higher end of the productivity scale compared with the self-employed form of enterprises in the earlier years.1 Reflecting higher economic growth and increased employment generation, the poverty rate declined from 59% to 50% between 1991 and 2000. The Government has progressively moved away from administered interest rates toward market-based rates. The disproportionately high interest rates offered by the National Savings Certificates2 that crowded out long-term borrowing by financial institutions (FIs) and private sector borrowers have been reduced toward closer alignment with comparable market rates. Despite these efforts, spreads between lending and deposit rates remain high due to the nonperforming loan (NPL) problem in the banking system, which is being addressed by the Government. The Government is also developing a market for government securities and significantly reduced the withholding tax on income from securities and bonds.3 On the foreign exchange market, the taka was floated in May 2003 and the exchange rate is managed flexibly, with interventions confined to countering disorderly conditions. To maintain macroeconomic stability and implement structural reforms that will contribute to improving the investment climate, promoting economic growth, and reducing poverty, the Government has prepared the National Strategy for Economic Growth, Poverty Reduction, and Social Development, the Government’s interim poverty reduction strategy paper (I-PRSP), dated March 2003,4 which forms the basis for a 3-year arrangement with the International Monetary Fund (IMF) under the Poverty Reduction and Growth Facility (PRGF) originally approved for SDR347 million (about $505 million). The Government will have to accelerate economic growth to about 7% per year over the next decade to reduce poverty in half by 2015 in accordance with the Millennium Development Goals.5 In comparison, annual GDP growth was 5.3% in FY2003, 5.5% in FY 2004, and is projected at 5% for FY2005. The IMF PRGF target is 6% for FY2006–FY2008. The IMF PRGF together with the Development Support Credit I and II projects of the World Bank (WB) also provide policy support in the financial sector, including preparation for privatization of and management support for the nationalized commercial banks (NCBs) and issuance of prudential regulations. In July 2004, IMF completed the second review of Bangladesh’s economic performance under PRGF and approved a release of SDR49.5 million (about $72 million) as well as an augmentation of the PRGF, amounting to SDR53.33 million (about $78 million), for the Trade Integration Mechanism. Uttara Bank Limited tries to give the best customer support, the have some lake and linkage compare to other bank of the same generation such as the way…….. The interest rate in Uttara Bank Limited is now 18%, which is very high for the customers. Interest rate should be reduced to attract more customers and raise the satisfaction level significantly. The employees of RFC especially the MIS division should be more cooperative with the customers over phone when applicants are looking for the necessary information. A new internal division can be opened for information deliver in RFC. HR should be more concerned about to train the sales team. The disburse time in the Uttara Bank Limited is very lengthy. It should be reduced and the customers should get their service at a shortest possible time. The application process time is very lengthy. The time required for the applications should be reduced as well. Debt burden ratio should be relaxed especially in case of highly potential and successful business personnel. The authority should recruit more employees to serve the customers. The can recruit experienced employee as well as fresh graduate. The bank should introduce more products based on the market demand. The bank should reduce their minimum balance to attract more customers. The bank can open more branches to reach to more customers. The bank can open branches or foreign booth because many people send money from abroad every year to Bangladesh. The bank should finance to the consumer goods, because many people in the country wants to buy consumer goods from bank loan. The marketing department of the bank should more efficient to reach at the hart of the customer. For the success of any organization, employee satisfaction is one of he most important factor and DBBL authority have to look about it. The bank should be more profit concern as well as took part to the economics development of the country. The departments of the bank should more efficient to make profit by satisfying customers. The bank should use printed instruments like cheque, pay orders etc. Being a clear transparent the bank can provide the best support to the customer as earn profit. It is revealed from the above presentation that in 2010, the bank has achieved remarkable success in various financial activities as well as in bank’s business. During the year under report the bank has earned commendable operating profit and also attained capital adequacy. Substantial amount has been recovered from classified loan because of appropriate action in this regard. UBL Bank contains an important part in overall operation of the Bank. Our industrial sector that are operating their business in different countries getting a good benefit from this department. Although there have some limitation in total operation process including online disturbance, management process, code fore, d authorization, technical problem etc. Bank now trying their best to improve such problem and to enhance their operation and customer services. For more facilities UBL bank have a good step to serve in rural areas. They made a deal with an ego, which facilitates them for more service in this sector. Moreover they have taken steps to open more branches in different area for wide operation. Due to clear and transparent operation bank have introduces Corporate Governance where board reviews and approves various policies for compliance by the management. The Board/ Executive committee reviews the polices / guidelines issued by the Central Bank regarding operation of the Industry. The Board / executive committee of the board approves the credit proposal as per approved policy and Bangladesh Bank guidelines/regulations. Due to maintaining different level of transparency bank are now receiving more profit in every year. Needless to mention that continuous support and extended by our valued clients, shareholders, sponsors, business associates and well wishes played a vital role behind these operating results and the Board of Directors express felicitation to them in this regard. New CEO has joined to existing team and in 25th silver jubilee celebration a new logo with utterly new concept is introduced. Consequently, the directors acknowledge with gratitude the valuable guidance and co-operation received from the Ministry of Finance, Bangladesh Bank and Securities and Exchanges Commissions. The directors place on record their depreciation for the dedicated services rendered by the executives, officers and staff members of the bank. As borrower selection is the key to successful retail lending, Uttara Bank Limited should focus on the selection of true borrower. At the same time it must be taken into account that right borrower selection does not mean that Uttara Bank Limited has to adopt conservative lending policy but rather it means that compliance with the KYC or Know Your Customer to ascertain the true purpose of the loan. Uttara Bank Limited is bank of new generation. Though I tried to include at my report about deposit, customer service and general banking, I followed their rules and regulation and tried to use them in my report to prepare this report with my best effort. Since Uttara Bank Ltd. Credit limit increased by taka 9907 core or 18.10% to tk. 64553.10 core during 2008-2009 as compared to increase of 10.30% in the preceding year, Uttara bank Ltd. Should pay more attention to loan and advance which not only increase it’s profit position but also alleviate poverty level of Bangladesh by providing loan to the capital seeker, increase standards of living.